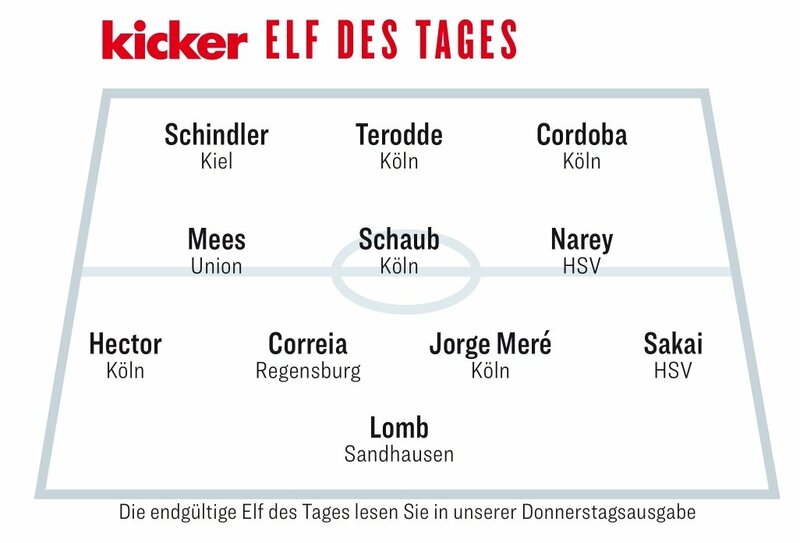 While Koln had five representatives in the Team of the Week, Louis Schaub, who scored one of the goals of the weekend, was not among them. Leaders HSV had three players while Sandhausen, Regensburg and Union contributed one each. That’s five teams represenented from the 18 that compete in the German second division.